Here’s the second installment in the “Happy Tails” feature. 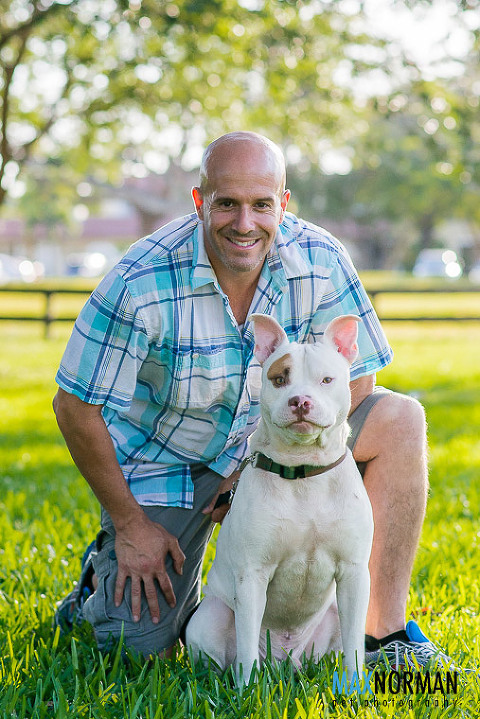 The intent is to help create a positive image of shelter pets. There are still many misconceptions and negative beliefs held by the public that are barriers to adoption. 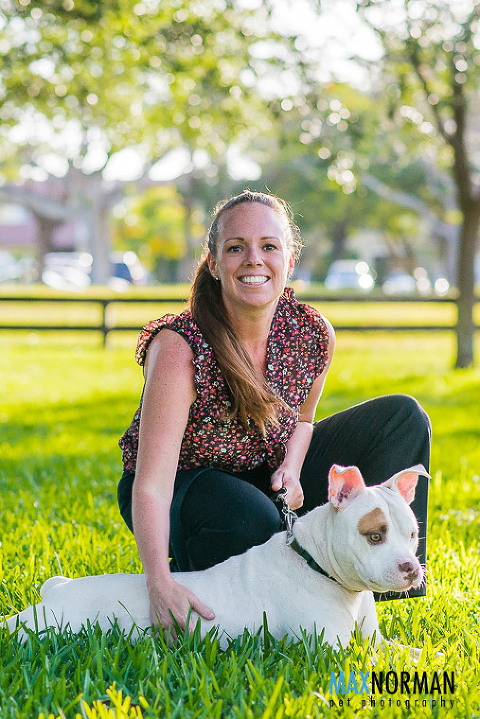 By highlighting successful adoptions I aim to show that you can find healthy, loving dogs and cats at Miami-Dade Animal Services. This weeks star is Lenny. He is a one and a half year old American Bulldog adopted from MDAS on April 9, 2014. 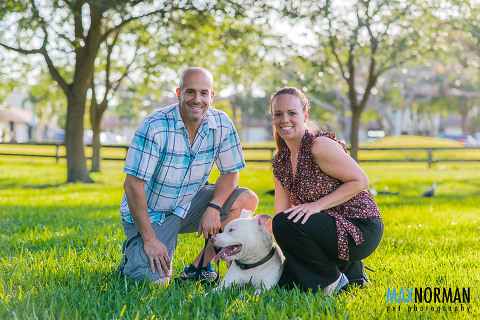 Jorge and his wife have done a lot for rescue animals by fostering, adopting and donating money. We need more people like them in the rescue community! We were originally fostering to give the dogs extra time to be adopted. Lenny was our second foster and we ended up foster failing with him. Volunteers had fallen in love with him at the shelter and told me about him. 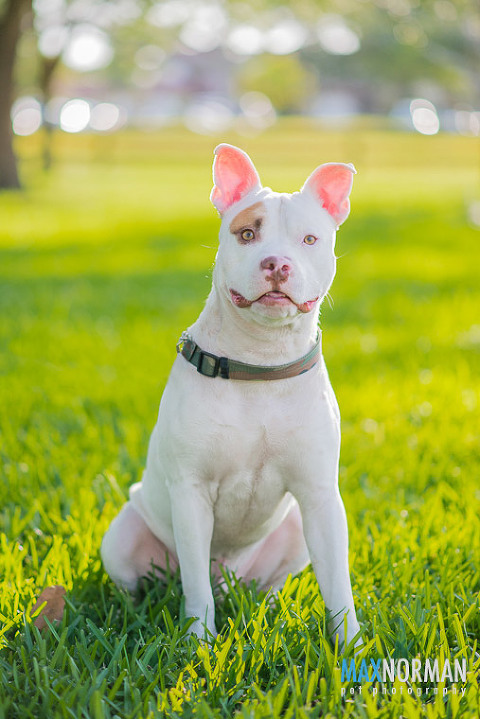 How was the transition period when the dog was adjusting to his new home? Lenny adjusted immediately to his new home. What was the most fun thing you learned about your dog after your brought him home? Lenny is just a big ball of fun. He’s so sweet and clumsy. He’s very smart and learns commands very quickly. What is your dog’s favorite things to do? Does he have a favorite toy? Lenny loves to play. He has several favorite toys from ropes to squeaky toys. They all usually end up on the couch under him while he sleeps. I would highly recommend adopting a shelter animal and would gladly do it again. Pictured are Lenny, Jorge and his wife.